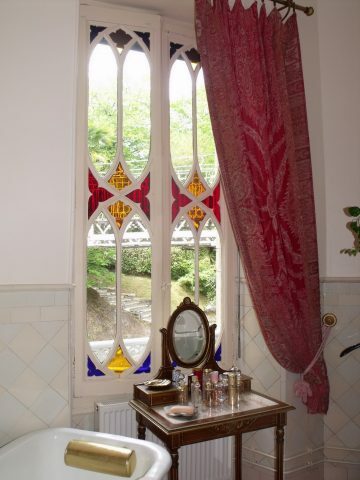 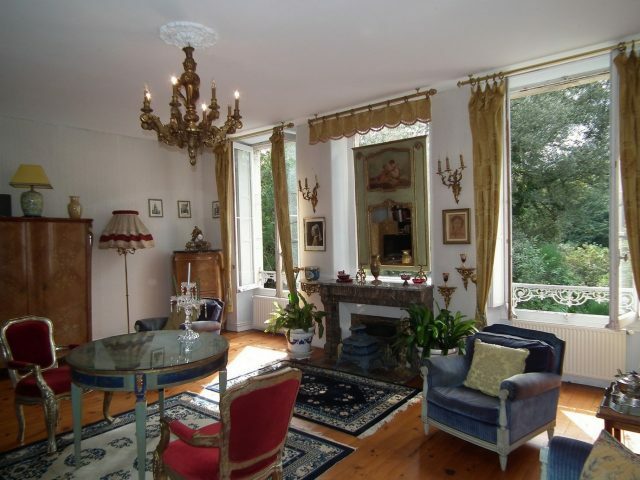 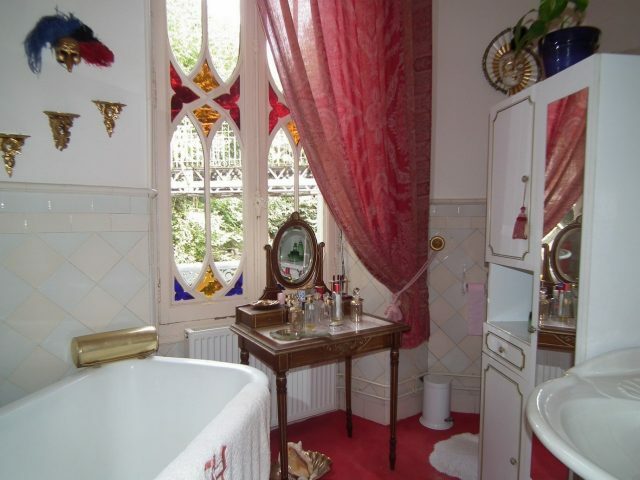 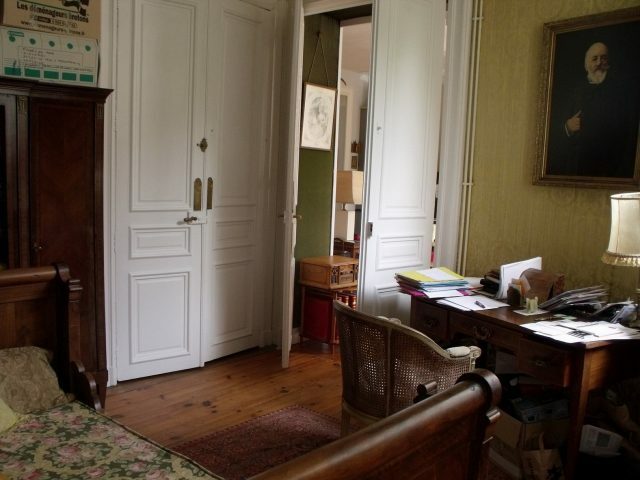 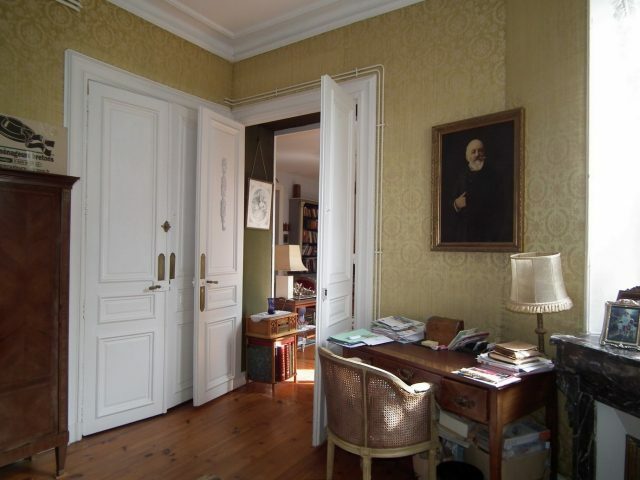 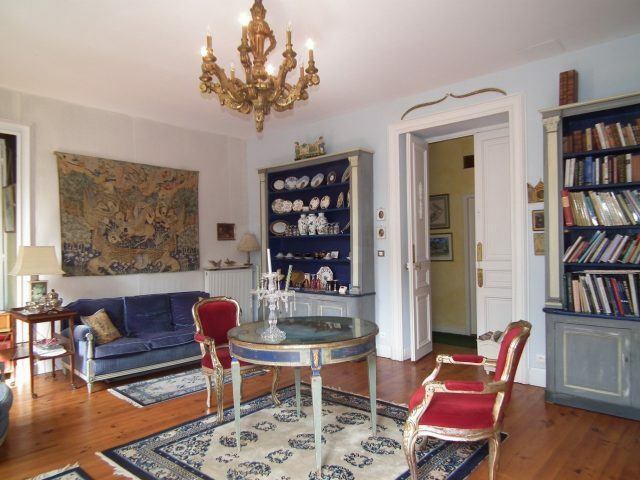 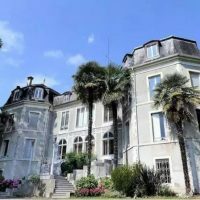 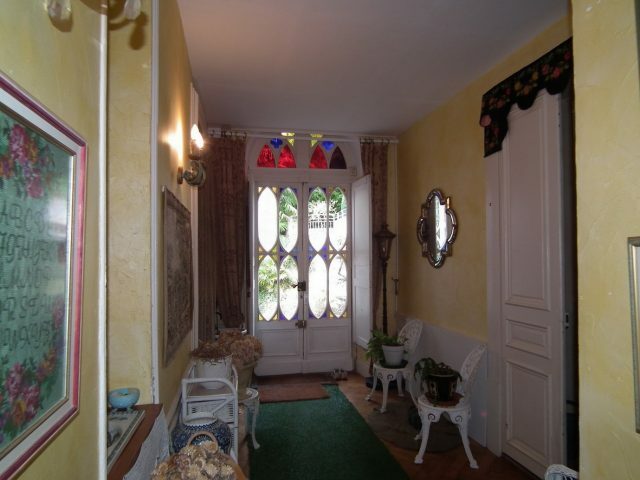 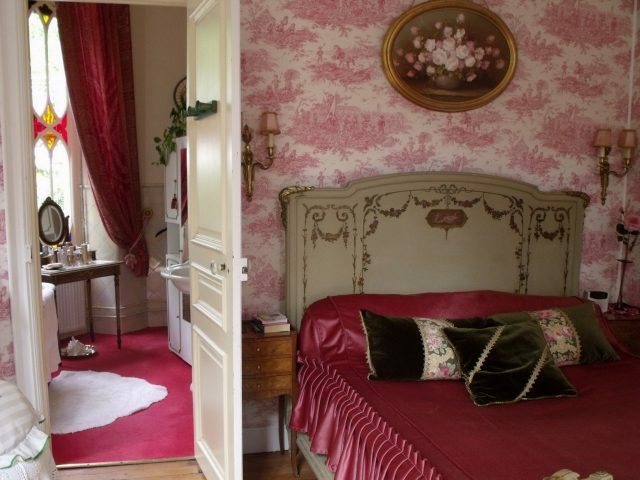 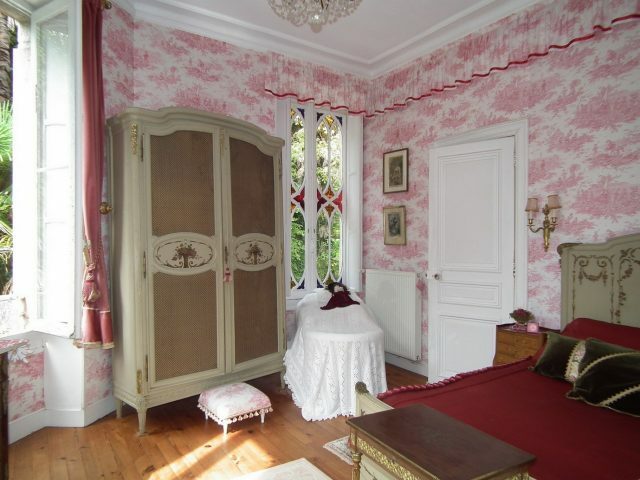 Located in a chateau in a calm and wooded park this stunning and elegant apartment is full of old world charm with its high ceilings, marble fireplaces, lovely french doors and stained glass windows and the original wooden flooring. 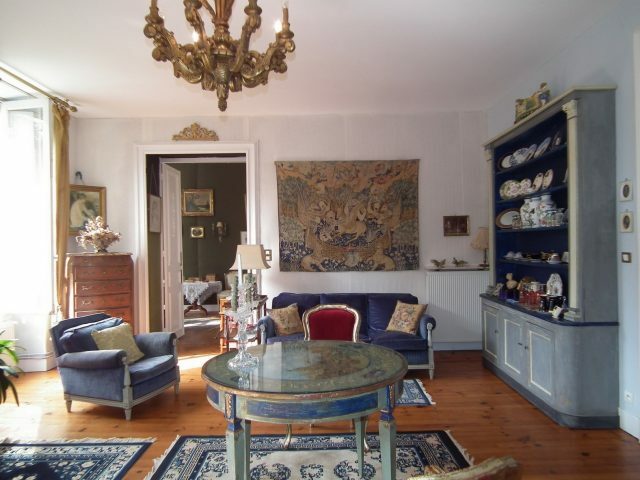 The property is bright and spacious with its own private entry and private parking and offers an entrance hall, a large salon, separate kitchen/ dining room with an open fireplace, master bedroom with a bathroom, another bedroom or office, a shower room and storeroom. 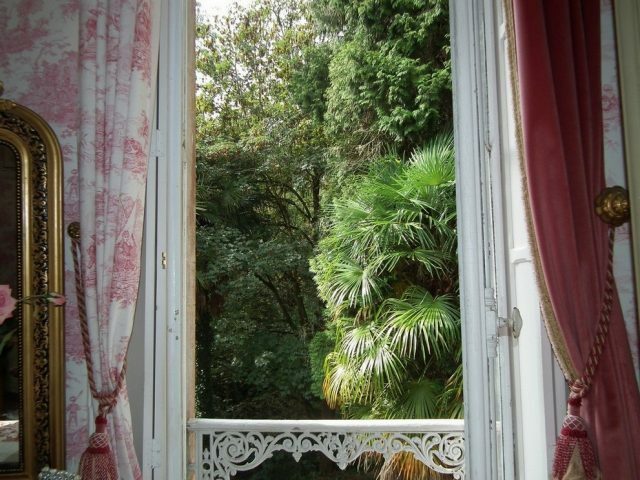 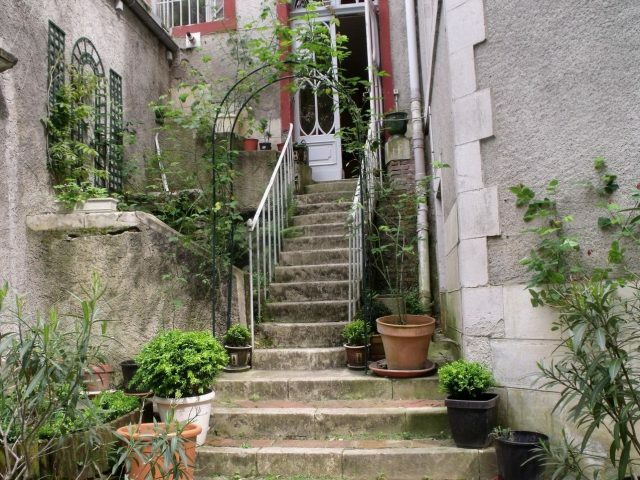 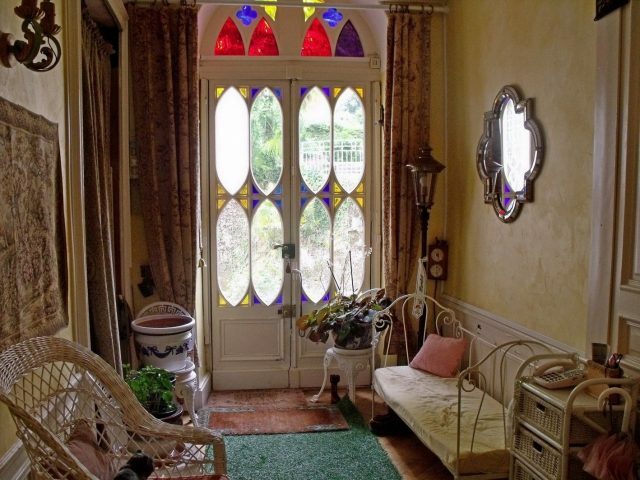 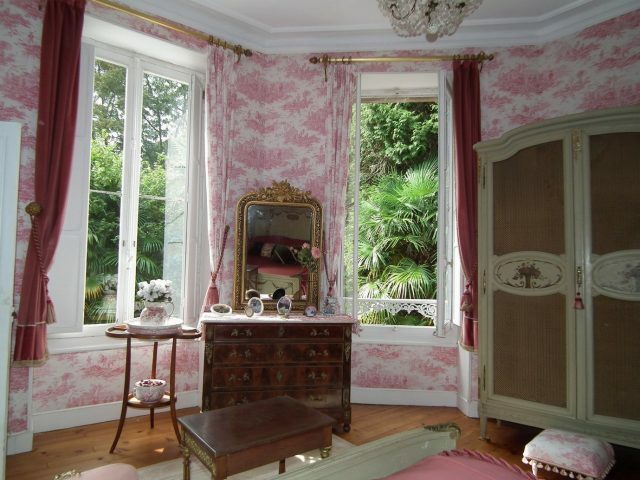 A visit is recommended to appreciate this fabulous apartment located just 10 minutes south of the city centre of Pau. 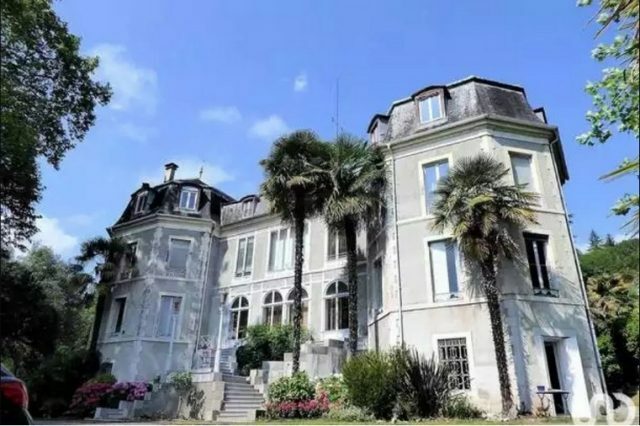 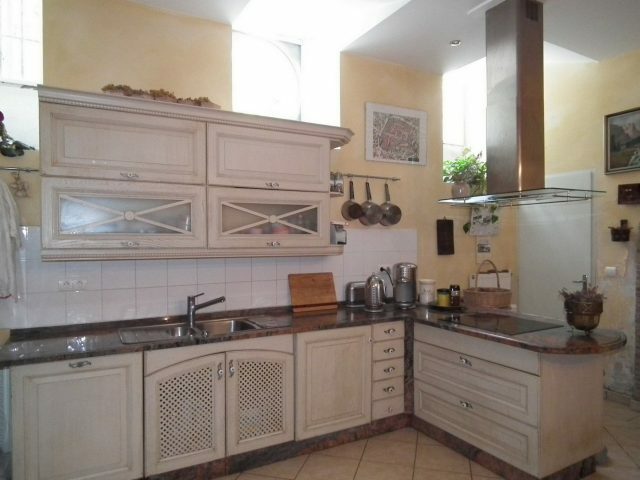 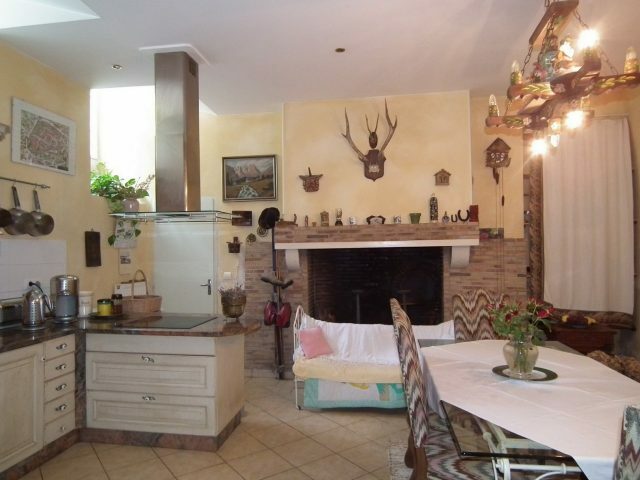 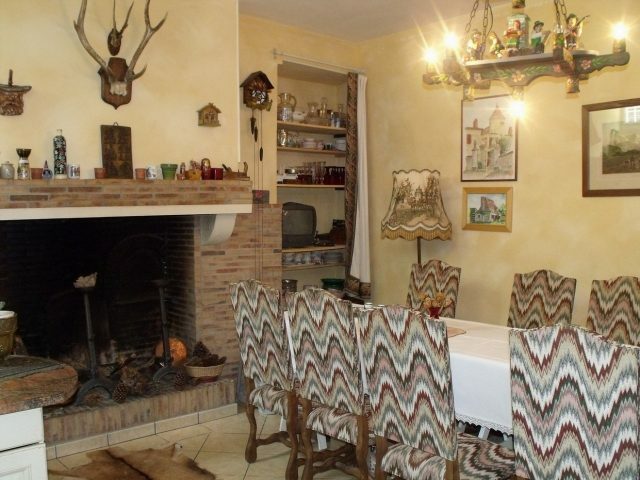 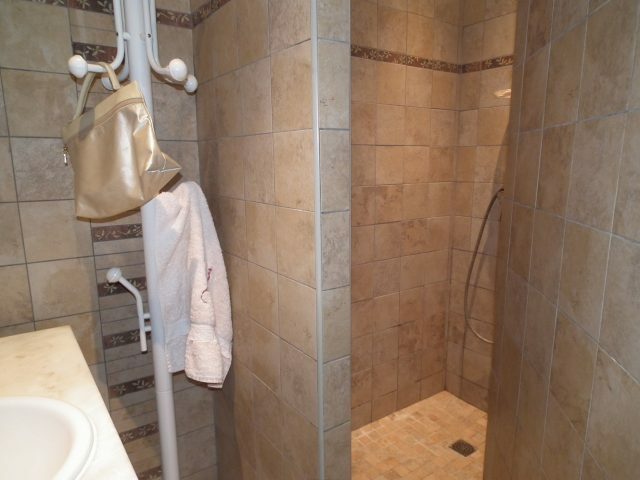 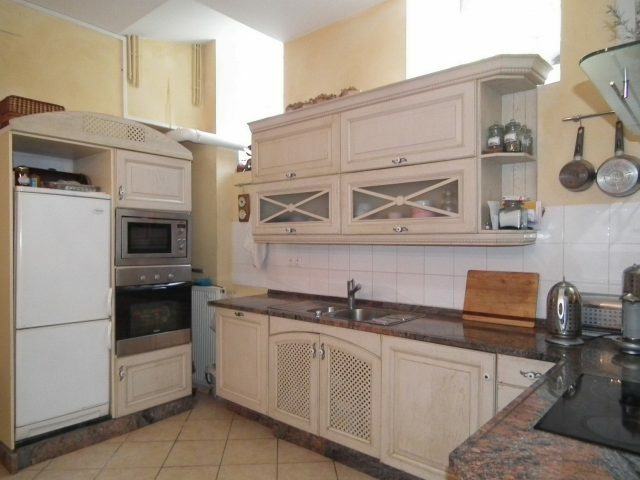 Discover the full and detailed description and more pictures of this property on our site, reference: 2390 (search engine on the homepage of our website Agir International Pau and Laruns).